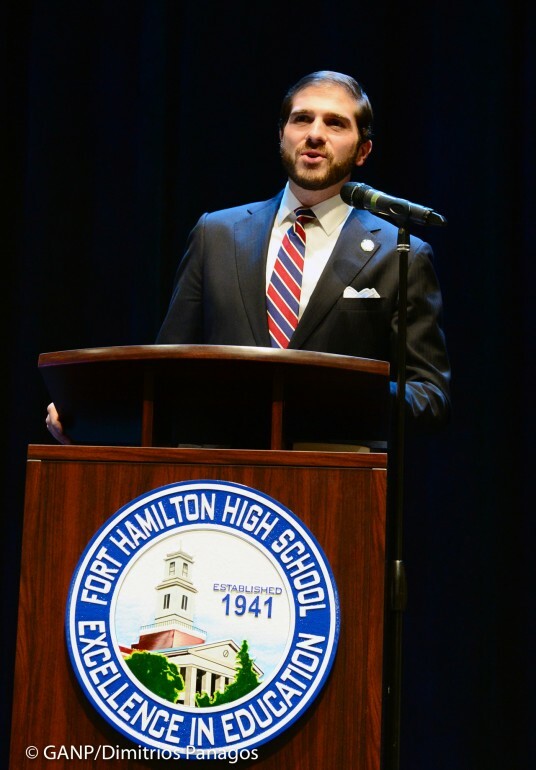 Newly-elected State Senator Andrew Gounardes was sworn into office on Sunday afternoon in front of a packed audience at Fort Hamilton High School. In the recent November elections he defeated the incumbent, Marty Golden, a Republican, who held the seat for 16 years. 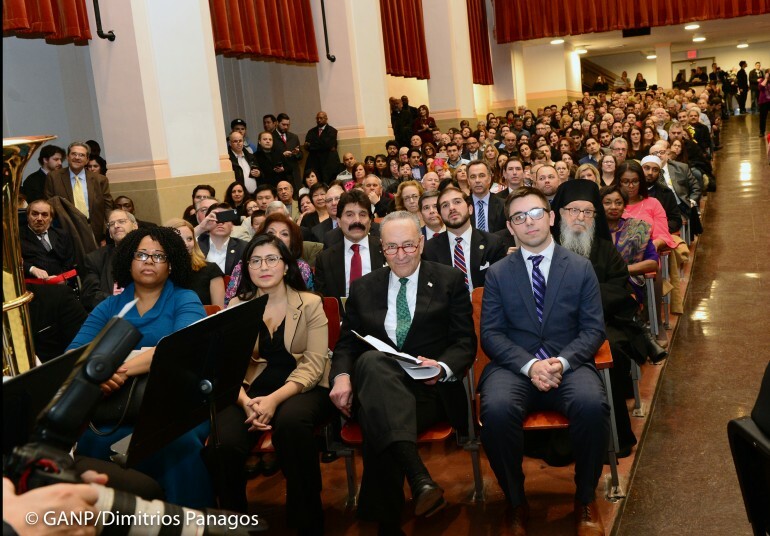 The event featured guest speakers such as U.S. Sen. Chuck Schumer, who spoke with optimism about New York’s future. Gounardes was born and raised in Brooklyn and has a long history of civic involvement. 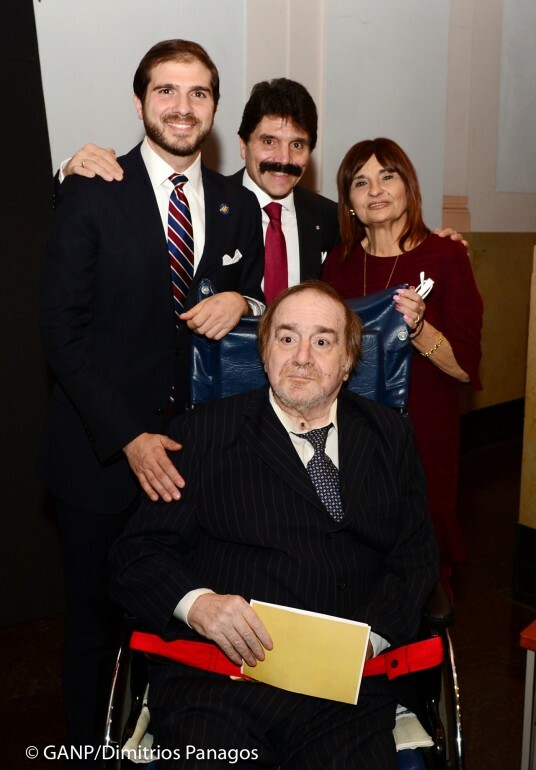 He was an Eagle Scout, a member of Community Board 10 and a co-founder of Bay Ridge Cares, a non-profit organization that assisted homeowners hit hard by Superstorm Sandy. Several of the speakers mentioned that Gounardes, a lawyer and community activist from Bay Ridge, ran against Golden in 2012 and lost. The speakers offered their thoughts on how that campaign wound up planting the seeds for his win in the rematch. “When you lose, you have to re-evaluate everything. That’s what Andrew did in 2012,” Senate Majority Leader Andrea Stewart-Cousins said. New York State Attorney General Letitia James, who, like Gounardes, is a Fort Hamilton High School graduate, said the newly minted state senator won this time around because he was able to take lessons from 2012. “A setback is nothing more than preparation for a comeback. You reset the table, Andrew,” she said. “The lessons he learned in 2012 served him well in 2018,” said former City Councilmember Vincent Gentile, who gave a young Gounardes his first job in politics when he hired him as a high school junior to work part-time in his district office in 2002. Gentile is also a graduate of Fort Hamilton. 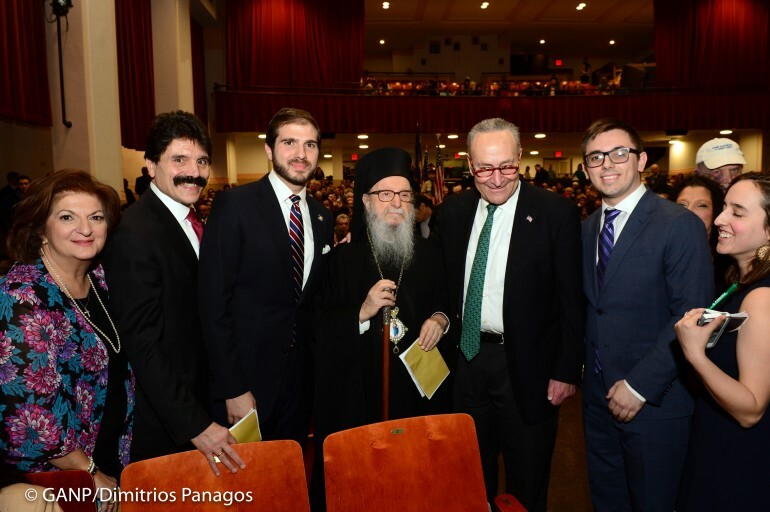 In November, Gounardes beat Golden, a 16-year incumbent, to win the seat in the 22nd Senate District, a seat that includes parts of Bay Ridge, Dyker Heights, Bensonhurst, Gravesend, Manhattan Beach, Gerritsen Beach and Marine Park. 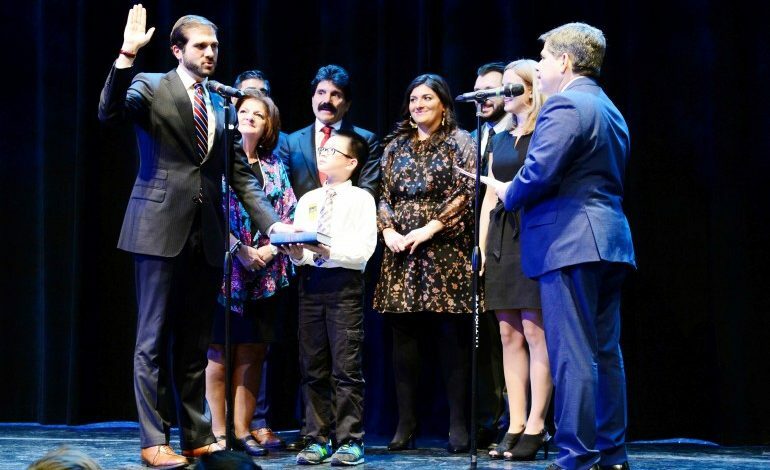 Hundreds of people, including elected officials, Democratic Party leaders, campaign volunteers and residents of the Senate district, packed the auditorium to see Gounardes’ big moment on Sunday. It was a family affair, as the senator’s brother and sister, Gregory Gounardes and Patricia Orphanos, served as masters of ceremonies. His parents, Steven and Dianne Gounardes, were also in attendance. Gounardes was surrounded by his family and his girlfriend Melanie Graf when he took the oath of office administered by Gentile. Preston Liao, a young pedestrian safety advocate from Queens whose sister was killed by a speeding driver, held the Bible. The ceremony began with the Holy Cross Greek Orthodox Church Scouting Program Color Guard, followed by the Pledge of Allegiance and the Fort Hamilton High School Symphonic Bands’ National Anthem. Greek Archbishop Demetrios, Geron of America, performed the invocation, followed by a Lion Dance performed by the New York Lotus Light Association. The oath of office was administered by Councilman Vincent Gentile with Gounardes’ parents, Diane and Steve, and family by his side. The newly-elected senator addressed his supporters, speaking about his commitment to the communities he now represents. District 22 covers Marine Park, Bay Ridge and Gerritsen Beach. In his speech, Gounardes sought to strike a hopeful tone. 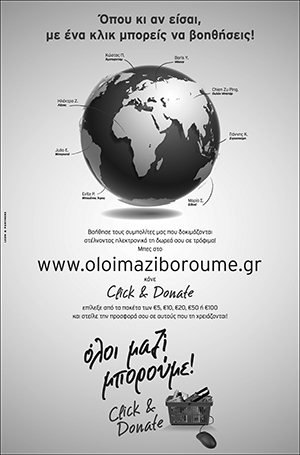 “Let us embark on a new chapter that seeks solutions, not divisions. No matter how much we disagree, we don’t have to be disagreeable,” he told the audience. He also urged his constituents to perform three small acts of service a week for their neighbors, like taking out their trash, and calculated that if 5,000 people took up the challenge, the result would be 780,000 acts of service. In an effort to put the bitterness of the campaign behind him, Gounardes saluted Golden, his vanquished opponent. “I want to thank him for his service,” he said. Golden did not attend the ceremony. Instead, he took part in an anti-abortion demonstration across the street from Fort Hamilton to protest the Reproductive Health Act, which Gounardes voted for. Inside the auditorium, the mood was festive.